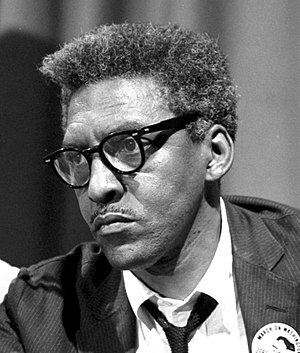 Saturday, March 17, 2012, marks the 100th birthday of the late civil rights activist Bayard Rustin. Rustin was a proud Black gay man who was an indispensable architect of the Civil Rights Movement. His most noteworthy achievements include serving as chief organizer of the historic 1963 March on Washington for Jobs and Freedom, mentoring the late Dr. Martin Luther King, Jr., and helping to form the Southern Christian Leadership Conference (SCLC). As an effective bridge builder across a broad range of demographics, he spent more than 60 years involved in social, racial, economic, class, labor, anti-war and other justice movements, both domestically and internationally. However, the story of this visionary strategist and activist, who dared to live as an openly gay man during the violently homophobic 1940s, 50s, and 60s, has rarely been told in mainstream or Black media.